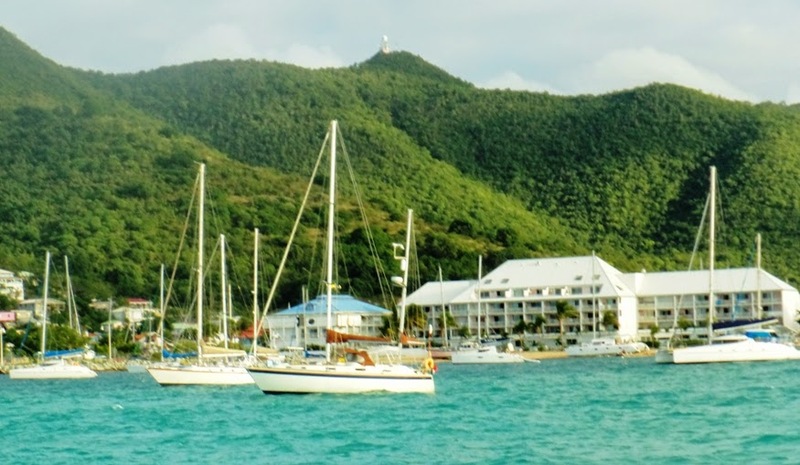 Galene goes West: St Martin/Sint Maarten and passages South. St Martin/Sint Maarten and passages South. Anchored in Marigot bay on the French side of this jointly owned island, we are here where everyone says is the best place in the Caribbean to get parts for the boat. Marigot town is very French. The anchorage in the bay was very rolly while we were there as it is very open. Everyone assured us this was not normal, but it did not get better all the time we were there! We were even going ashore in full ‘oilies’ as we were getting so wet in the dinghy. We don’t fancy being in the lagoon as it doesn’t look nice to swim in and is under the flight path of the Dutch airport. While it is nice to be amongst old friends, and a good social scene with ‘Horizons’, ‘Secret Smile’, ‘Paw Paw’ and ‘Impressionist’ to name a few, neither of us is very well. We seem to be having relapses of the Chickengunya we got back in the USVI’s. Boat issues are not helping the mood on board. The fridge switches off erratically, our batteries seem to flatten overnight; we still have a leaking stern gland. Everyone says that this is the best place to get parts for the boat. We have decided to replace our domestic batteries as they are not holding their charge. Unfortunately none of the chandleries have the batteries we need. We could have got them in the BVI’s and there is some stock in Antigua, very frustrating! We make a concerted effort to solve the fridge problem, and decide to rewire as there is a voltage drop between the batteries and the fridge compressor. This certainly stops the fridge switching off prematurely on the ‘low battery’ sensor but just manages to flatten the batteries even more! With full batteries on a windy day, the fridge switches off by itself; nothing we can do will cause it to restart. Maybe the thermostat is faulty? Roy on Paw Paw has a spare I can try so we replace the thermostat, and the fridge starts. Maybe problem solved. Not so, the following day we are back as before, erratic fridge, flat batteries, full batteries, warm beer, cold beer , fridge off again! I think the new batteries will be the key to solving the fridge problems. In between our relapses we manage to catch up with our friends but sadly did not spend as much time exploring ashore as we would normally do. As we dinghied ashore we could see some of the damage caused by last summer’s hurricane. Boats washed up on the beach, some still sunk in the lagoon, damaged boats awaiting repair in the boatyard a sad and sorry sight. There is still debris along the shore line and a lot of repair work being done to buildings. 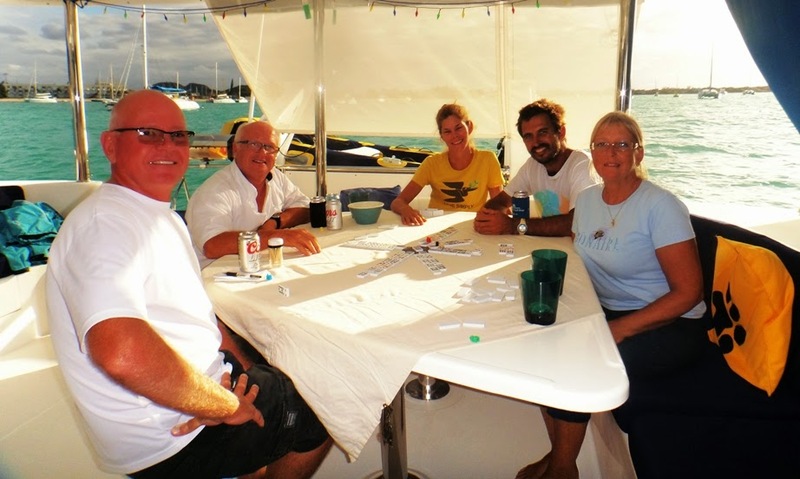 We held a passage planning session with ‘Paw Paw’ on Thursday afternoon, and if the weather is with us we will leave for Ile Fourchue on Sunday, overnight at the anchorage there and sail to St Kitts on the Monday, where will wait a couple of days for the wind to veer southerly before sailing to Antigua. What started as a passage planning session, became a card session! We will not hold our breath as with all weather dependent plans we are in the ‘lap of the Gods’. We had a last few sundowner evenings to say good bye to friends going north, did some shopping including a very interesting boat jumble on the Saturday and awaited Sunday morning with bated breath! Sunday dawned fair and still a good forecast. For once we seem to have a plan that is working. 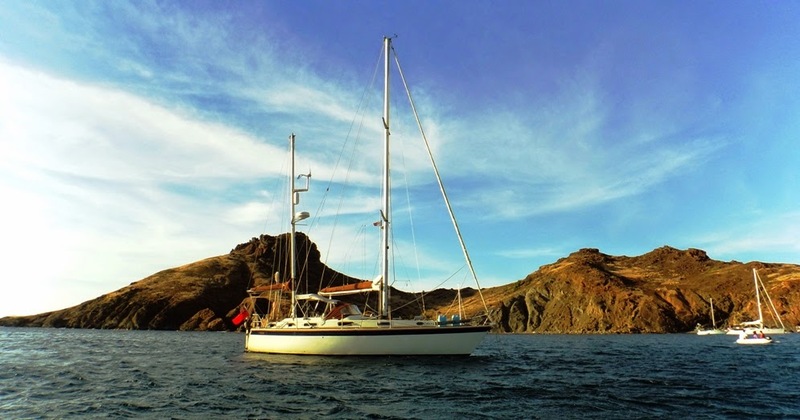 Hugging the coast, we sail to the north of St Martin, then motor through the gap between St Martin and Ile Tintamarre. With an Easterly wind we were able to sail between Rocher Table and Ile Fourchue and motored into the anchorage. 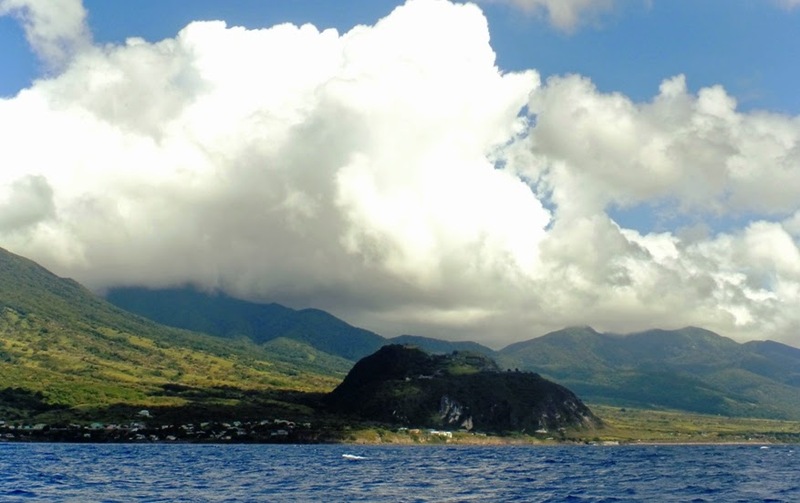 The horseshoe shaped bay is very pretty – a collapsed volcano so there are small hills nearly all around us. Several boobies fishing, a tropic bird and an occasional turtle enhance the idyll. The island is private and the goats have eaten all the vegetation ashore. They have now all been removed and the plants are slowly recovering. As we are only stopping the night we didn’t go ashore (maybe next time). Monday 0630, the wind is south of east, looks like we have a plan! We set off at 0630 with St Barts to port and St Kitts already visible. 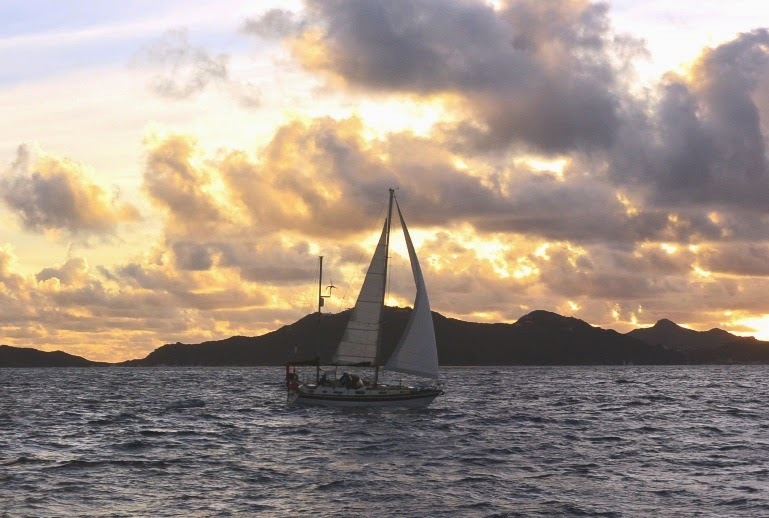 We are able to sail to the NE corner of St Kitts when the mountains block the wind and we have to motor against the wind and current to our anchorage in the south at Whitehouse bay. On the way down we are quite close to shore and have lovely views of Brimstone Hill Fort, ruined distilleries, windmills and towers and the little towns. At least we have fully charged batteries but again no fridge! 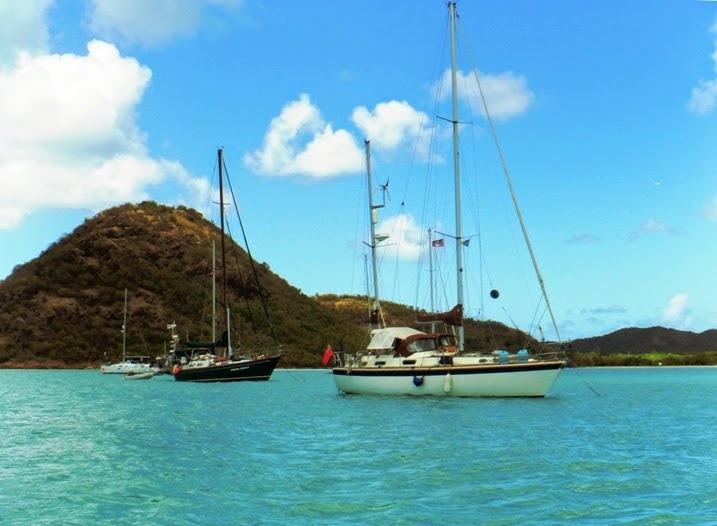 The wind is supposed to veer to the South on Wednesday; this anchorage will be uncomfortable if that happens but at least we will have a good sail to Antigua. Monday night was fine but by Tuesday evening the anchorage started to get rolly, with little shelter from the land we endure a rolly night. If the wind holds we will have a great sail tomorrow. Wednesday 0645, wind SSE force 4, at last plan ‘A’ is working! 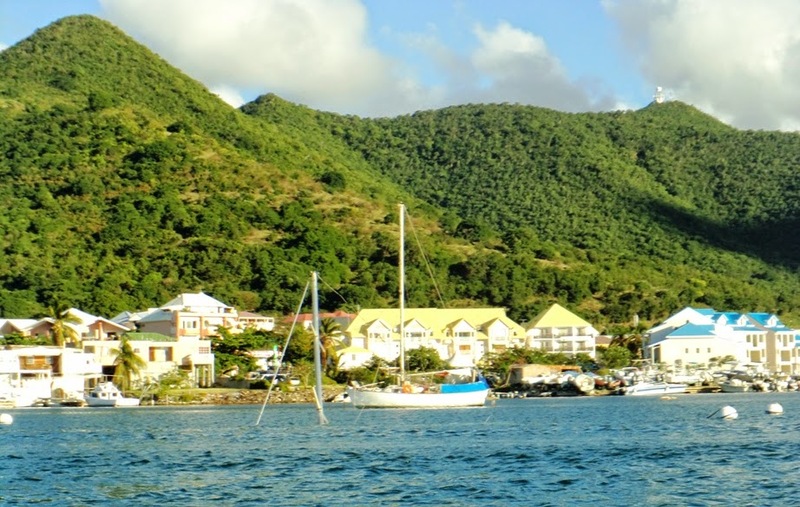 We motor out through the ‘Narrows’ and set sail for Antigua, 45 miles on a fine reach to Jolly harbour. 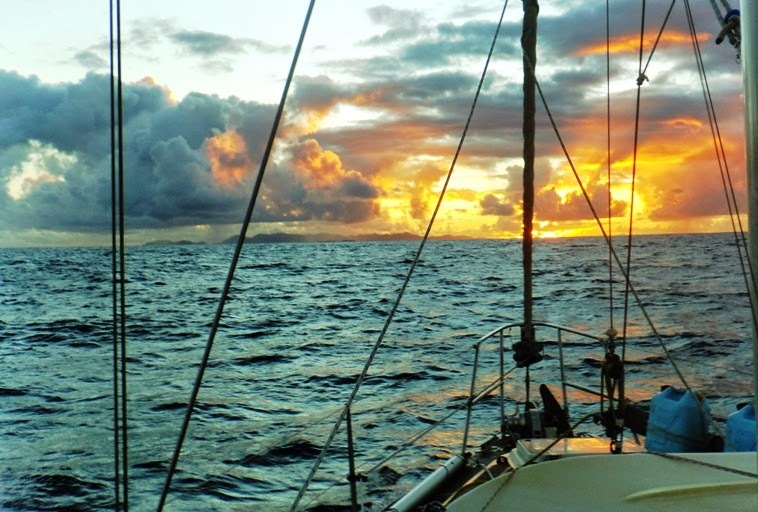 We sailed all the way, only furling the headsail as we reached the fairway buoy. We start the engine to drop the main and anchor between ‘Brisa’ and ‘Paw Paw’. An average speed of 5Kts all the way. Our best sail so far this season. 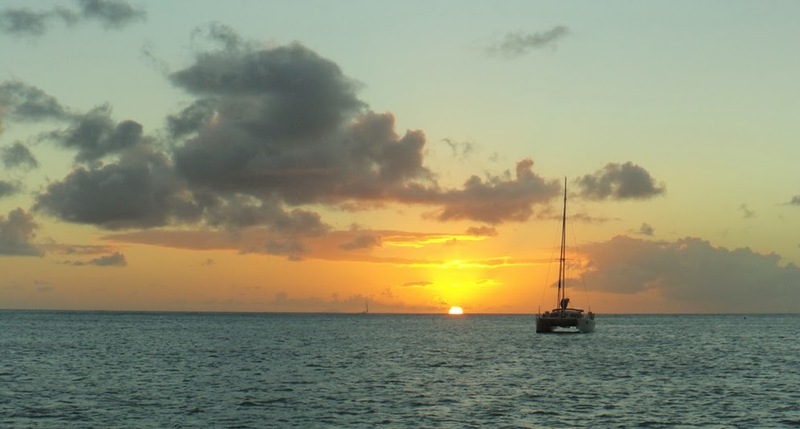 Our goddess kept the seas fairly calm, the wind stayed fair and we feel we have come “home” to Jolly Harbours calm anchorage and lovely sunsets. We will check in tomorrow, arrange for the fridge and stern gland to be repaired and buy some new batteries. 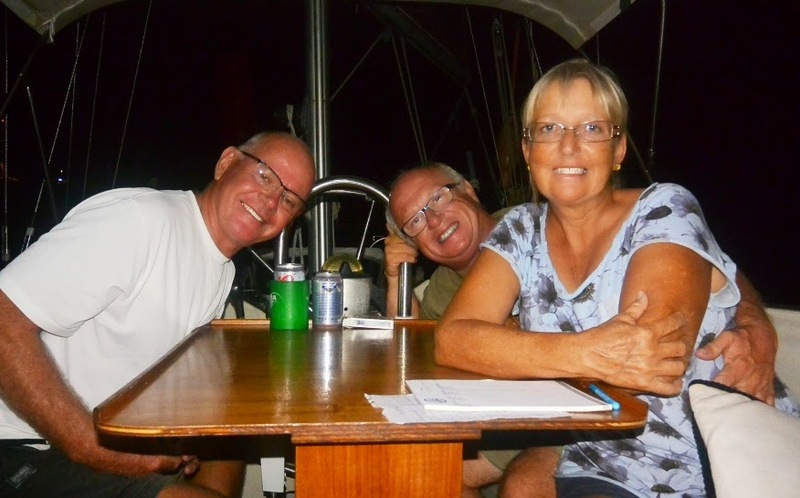 Our 1st night at Jolly Harbour!